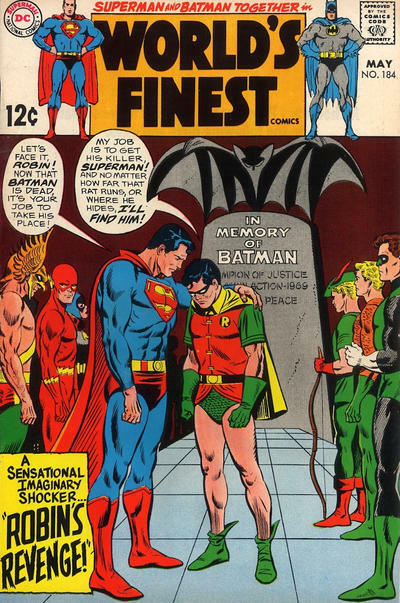 Curt Swan was born Feb. 17, 1920. 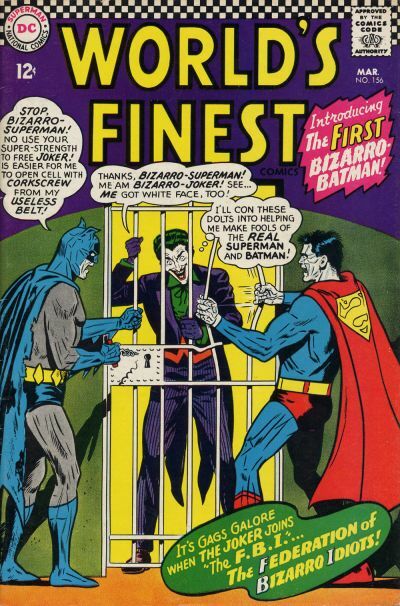 This may sound a little like heresy, but I never bought the notion that Batman and Superman would be best friends. Or really work together at all. 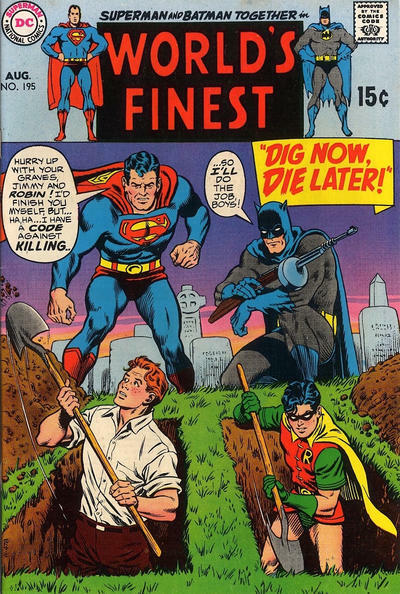 This isn’t Frank Miller revisionism at work, either. 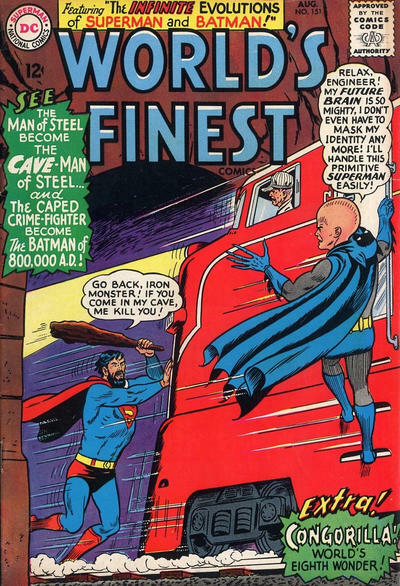 It’s just that I never really saw them on the same playing field: Batman defends a city and Superman defends a universe. It just doesn’t compute when you get to the core of it. Nevertheless, when you have two characters who are incredibly popular under the same corporate umbrella, how can you not put them together? You’d be a fool to ignore the opportunity. 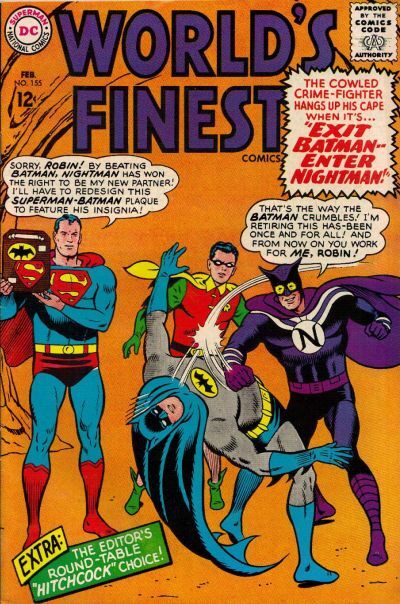 Still, I was never a huge reader of World’s Finest growing up. Sure, I read and collected plenty of it, but it was almost out of a sense of duty, not excitement, with a few notable exceptions. 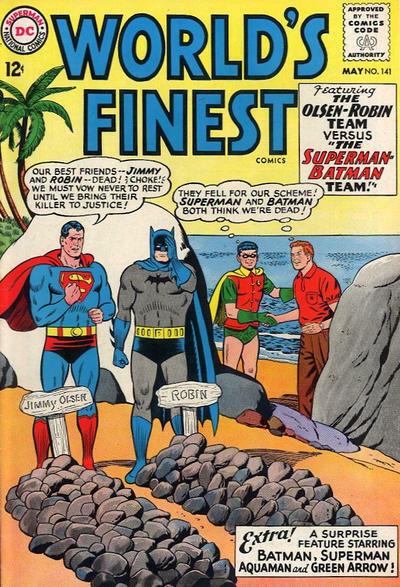 The covers — particularly those by Curt Swan in the Silver Age — are another matter entirely. 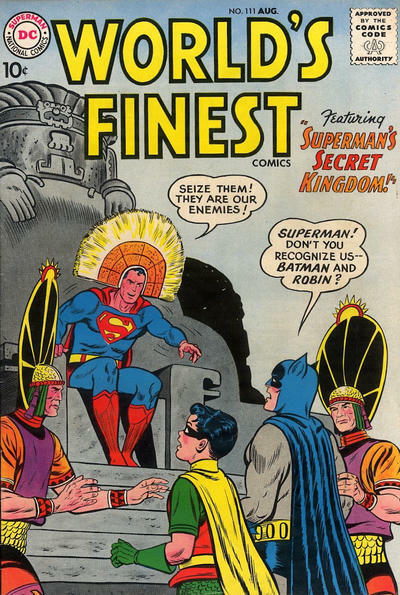 They present one strange, retroactively funny idea after another — a Silver Age hallmark, of course. 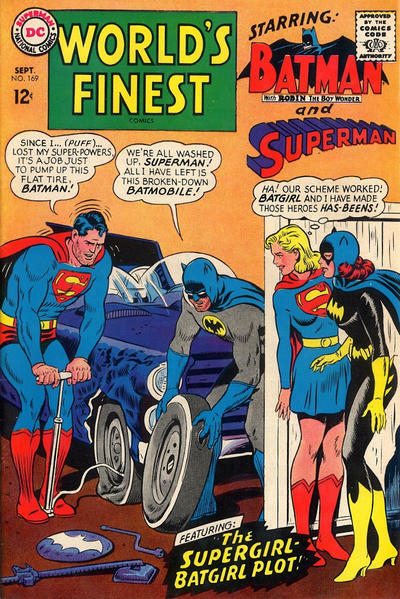 But maybe that’s the heart of it: The idea of Superman and Batman together is better than what the actual stories can bear. Swan, who would have been 97, died in 1996. But we have his art. Klein inks. Based on a design by Cary Bates. 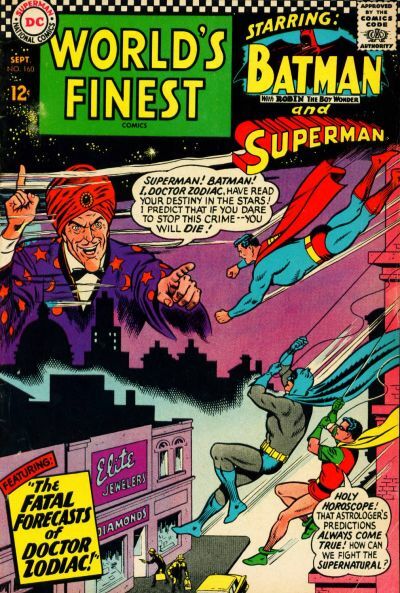 Cover images and credits from the world’s finest Grand Comics Database. 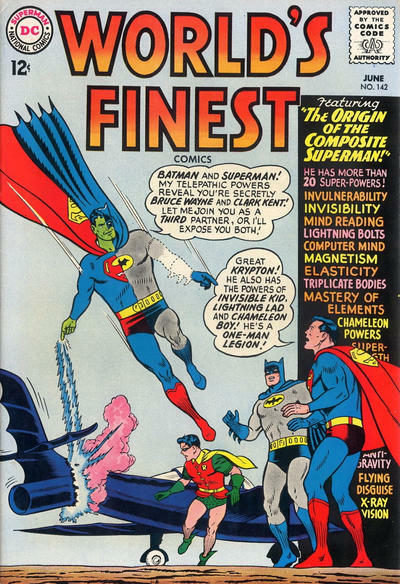 I loved World’s Finest. 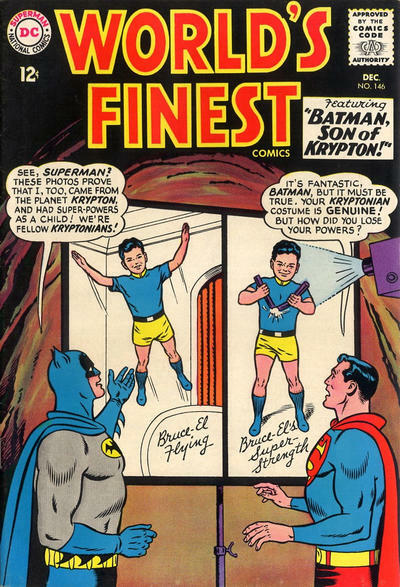 After all it did give us The Composite Superman, probably the wackiest outfit ever. I have an action figure of him and I love it! 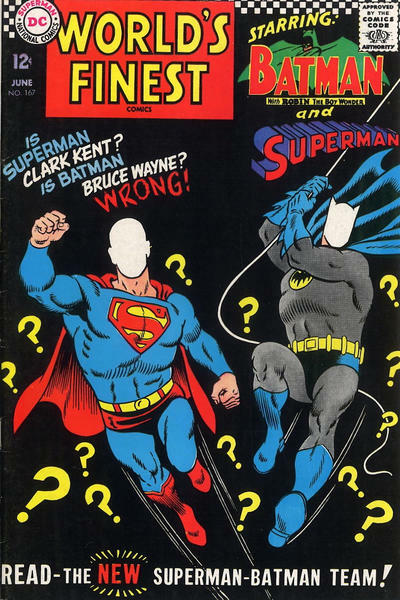 I have most of the above Curt Swan cover-graced issues. 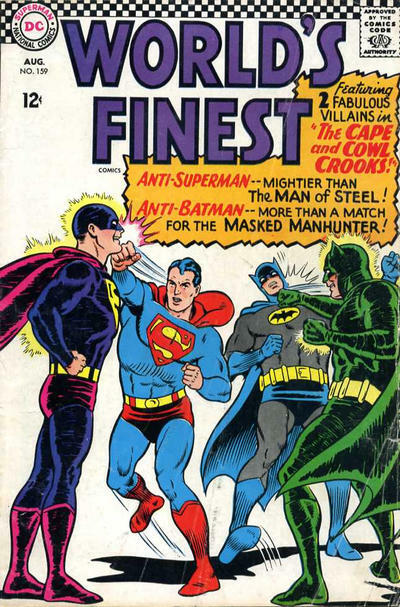 I always wanted to see Anti-Superman and Anti-Batman team up with the Reverse Flash and Sinestro! That would have been cool!